Pass the Cereal: Happy Birthday Grandma! Today is my Grandma's 93rd birthday, but this year she isn't with us to celebrate! I miss her SO much...and I know the rest of our family does too. 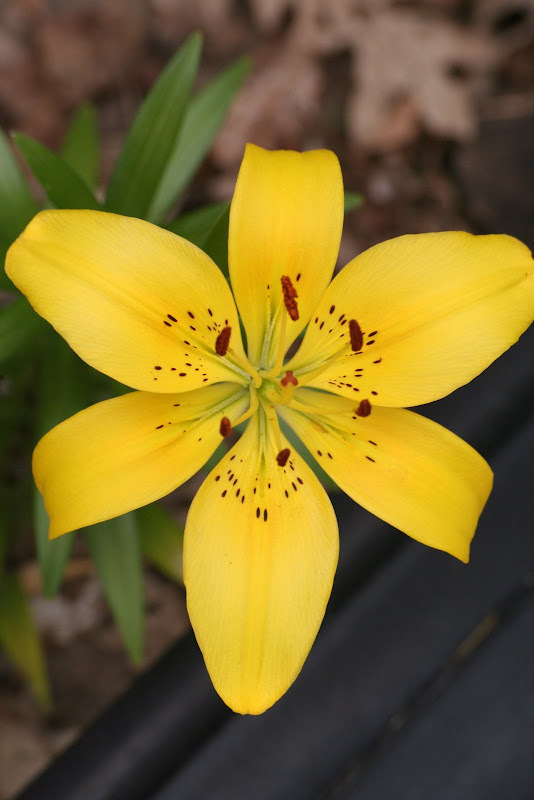 Her favorite color is yellow (just like Jack so he would always choose it for her), so thought I'd "give her" this photo...after all, this is one of her lilies (blooming in my yard). 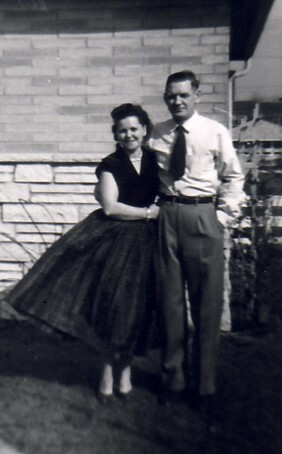 This is my Grandma & Grandpa at their Milwaukee house (it may be after my Mom's wedding actually)...most of my memories are from the house "up North" though. My Grandma always had these cookies in the cookie jar waiting for me, she would always buy me these suckers (for a nickel) when we were out shopping, and she would ring a cowbell (literally) to let me know it was time for supper if I was playing down the street. She taught me & my brother how to play cards very early in life and then spent many hours winning the money she had lent us for the games back. She took long walks with me, let me pretend her bed was a sleigh, and would listen to me sing songs for hours (no matter how annoying or repetitive they were). And this was the day she met EJ...I hadn't been sure how my Grandma felt about our adoption until this day...I never questioned it again. These two had a very special relationship & spent many days sharing snacks side-by-side in this chair. Oh and I did I mention that she cracked me up? Jack & Grandma "shared" a birthday...well, almost! Grandma told me when Jack was born that it was better that they were a day apart as that way they each had their own day. However, I think both of them LOVED the fact that we celebrated their birthday together each year. I know I was blessed with an amazing woman for a Grandma...I am grateful that I not only knew her, but knew her into adulthood...I am so thankful that my children had such a special relationship with her...and I smile every time I look at Olivia and see one of Grandma's "silly faces" (I wonder if she likes Olivia's name? probably not the Finn part right?). This was such a sweet post! 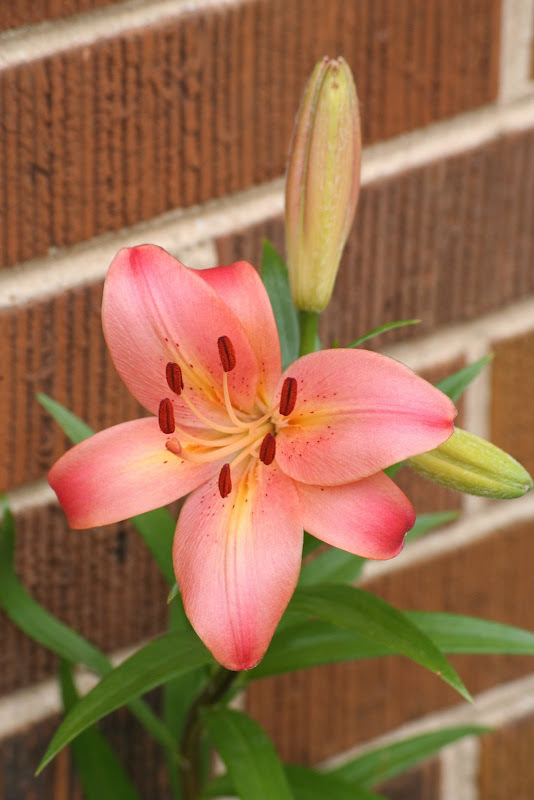 I loved seeing the pictures of your grandma and your affection for her just flowed through each of your words. It made me miss my wonderful grandma too. Such blessings, these amazing women.